MessagePro, a provider of Messaging-centric applications and services, announces that it is now a Supplier Partner of Intelisys, a ScanSource company, and the nation’s leading technology services distributor. Intelisys sales partners can now offer MessagePro Office as well as other MessagePro applications to their clients. 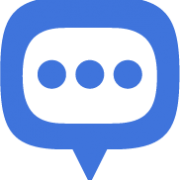 MessagePro Office allows businesses to easily send and receive text messages right from their desktops, smartphones, or tablets. Communicating via text is as easy as sending or receiving an email. In addition, MessagePro can almost instantly text enable any existing business phone number, without changing carriers or installing new equipment. Today Intelisys is leading the way as its Sales Partners make the pivot and experience the shift away from traditional telco services into a new era of cloud-based solutions. 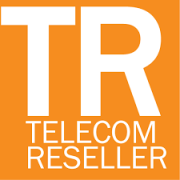 Under contract with more than 160 of the world’s leading telecom carriers, cloud services providers and technology partners, Intelisys delivers the services end users demand exclusively through a network of Sales Partners, supporting those Sales Partners via the most exceptional back office support team ever assembled in the channel. To learn more, visit www.Intelisys.com or talk to Intelisys at 800-615-8330. 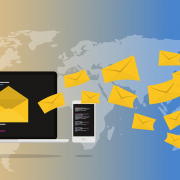 MessagePro (www.messagepro.com) delivers a suite of Messaging-centric applications and services that allow employees and clients to stay better connected in real-time. Solutions are delivered both through standard connections and using secure and encrypted over-the-top technology that is HIPAA and FINRA compliant. MessagePro features vertical solutions for medical, dental, law, financial, billing, insurance, human resources, real estate and hospitality companies. Solutions are also available for entrepreneurs, sales organizations, the SMB market, and a growing number of vertical market segments. MessagePro provides complete communications solutions as well as text enablement of any telephone number.